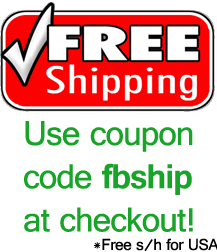 • Fast shipping and turnaround time — All orders ship same or next day! • Highest quality Stainless Steel construction for superb durability and a stylish look! 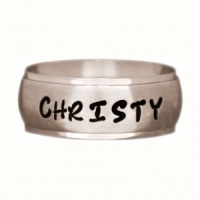 • It’s uniquely YOU — Express what you want on your custom ring! 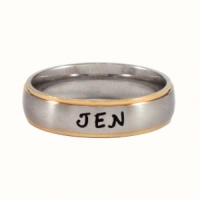 • Hand stamped engraving for a distinct appearance. Makes a great, easy gift or a nice touch to your own look! 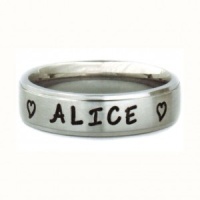 Check out more ring engraving and gift ideas here! 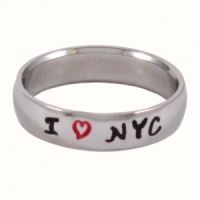 Browse in the shop and get your ring on! We recommend joining our mailing list for promos, freebies and new releases!